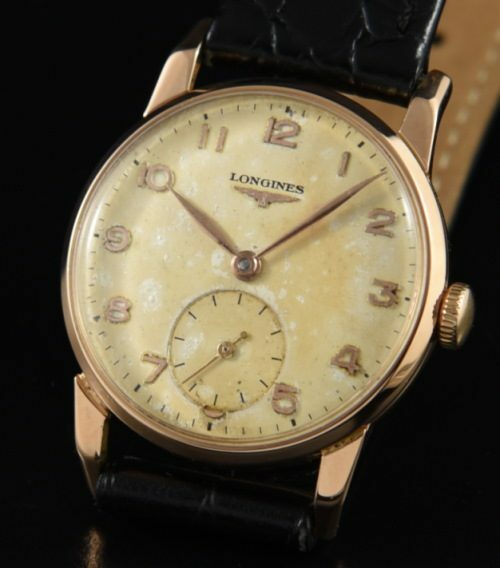 This is a 1952 solid rose gold men’s mid-size LONGINES measuring a a smaller 28.5mm. in an era when they produced some elegant and discreet dress watches. The solid 18k. rose gold case has interesting dog’s leg lugs adding flair to this subtle watch. The dial was restored many decades ago but retains the original Arabic raised rose gold toned numerals. The dial has taken on a vintage patina which adds more interest. The manual winding LONGINES movement is very well-preserved-just cleaned and accurate. I have to say, on the wrist this LONGINES looks quite refined. 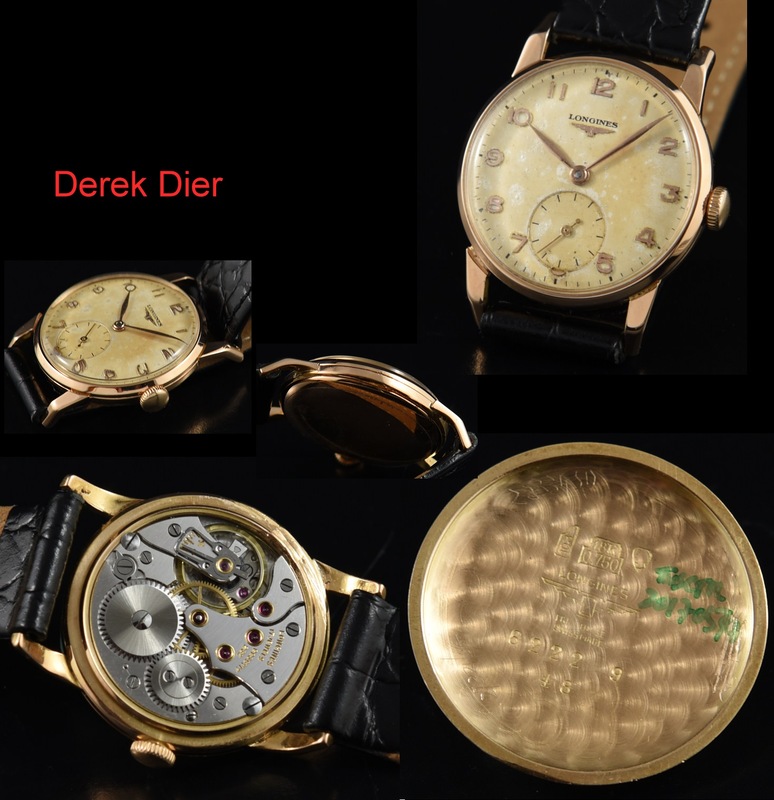 This vintage watch would suit either a man or woman.